After an extensive review process, Crazy Horse Memorial Foundation selected Spore Creative to build their new online identity. They needed an intranet for employees, lots of visual information and video data, and a custom donation system to allow for online giving. Crazy Horse Memorial Foundation sent out an RFP last June, 2014, looking for local, qualified companies to update their web presence. They needed to integrate online donations, organize content in a user-friendly way, and create a dynamic visual presence that equaled the project’s own visual appeal. With a long-term contract and commitment to moving the website forward in the coming years. We built on an aggressive schedule and implemented many features that enhance the visitor’s experience. We also built a fully integrated intranet system for employees and staff message boards and notifications. 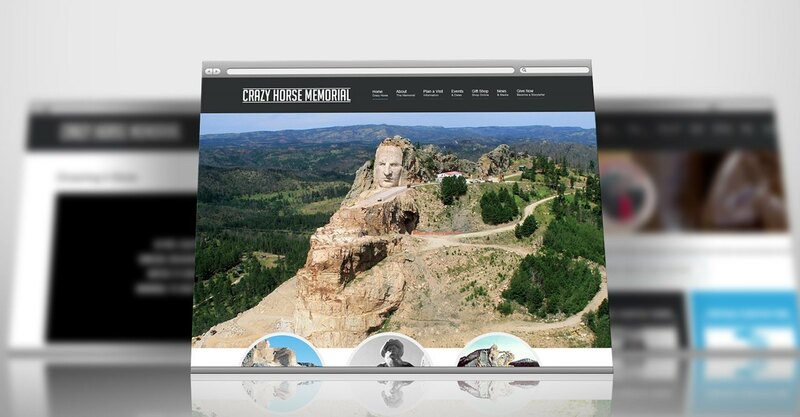 Crazy Horse Memorial Foundation’s new website has been live for since 2015 and has seen increased online donations, increased page views, and has received numerous notable messages of congratulations at an online presence that finally does justice to the mountain carving.